The Food Additives Amendment of 1958 was intended to better protect the public by giving the Food and Drug Administration (FDA) the authority to regulate food additives. Unfortunately, the flawed, 59-year old law, coupled with weak enforcement, has allowed thousands of chemicals to be added to food with little oversight and limited safety information. Moreover, the law exempts ingredients “Generally Recognized As Safe” (GRAS) from formal FDA review and approval. Originally intended for common ingredients like vinegar and olive oil, industry now abuses the loophole by bypassing FDA review and making safety determinations without oversight. FDA has never reviewed an estimated 1,000 GRAS substances for safety. And many of the 10,000 additives allowed in our food today were authorized by the FDA or industry decades ago. This broken system leaves both FDA and consumers in the dark. Under the 1958 law, FDA has no way to know what chemicals are actually being used in which food or in what quantities—even in baby food. 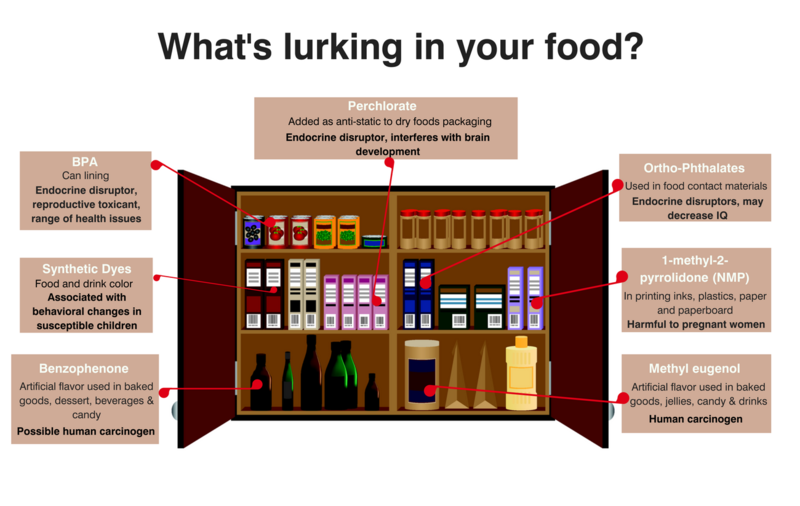 How can we make food safer? End secrecy: Companies should no longer be permitted to decide the safety of their own ingredients without FDA’s review or the public’s knowledge. Congress needs to create a more streamlined, public process for FDA to make decisions and encourage safer innovation. Update the science: When FDA reviews chemicals in our food, it makes our food supply safer. But the agency needs to update its guidance to industry to use modern scientific methods to better protect us. Ultimately, to solve the problems in the food system and protect public health, industry should not wait for action by FDA or Congress. Companies should lead on removing the worst chemicals of concern and ensure that FDA reviews all chemicals used for safety. 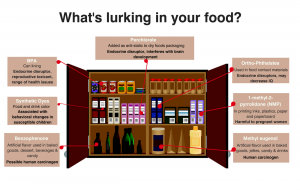 Consumers are increasingly concerned about chemicals in food. It is long past time for the food regulatory system to do its job and ensure the safety of all the food we give to our families. This entry was posted in FDA, Food, GRAS, Health Policy, Markets and Retail, Regulation and tagged benzophenone, BPA, Chemicals Added to Food, FDA, food additives, GRAS, methyl eugenol, NMP, ortho-phthalates, perchlorate, styrene, synthetic dyes. Bookmark the permalink. Both comments and trackbacks are currently closed.